Japanese Salon invites you to attend our "Spring Salon", to experience our elegant Japanese art & cultural event with the seasonal theme in combination wtih a lovely afternoon tea in Japanese style in Bussum. The event will be held in an historic charming Dutch villa, “Oud Holland” built in 1896, featuring a rare collection of Japanese 18th century masterpieces, antiques, design items, contemporary art, and ceremonial kimonos. Some of the items are available for sale. Take a moment to cherish and support our cultural heritage. Feel the power of inner peace. 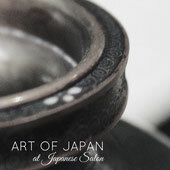 Enjoy the excellence of Japanese tea, conversations and Azumi's fresh signature matcha cakes. The details will be sent upon registration. Look forward to welcoming you all.